you're never more than one seat from an aisle. Free bar service and in-flight entertainment. by a selection of liqueurs. 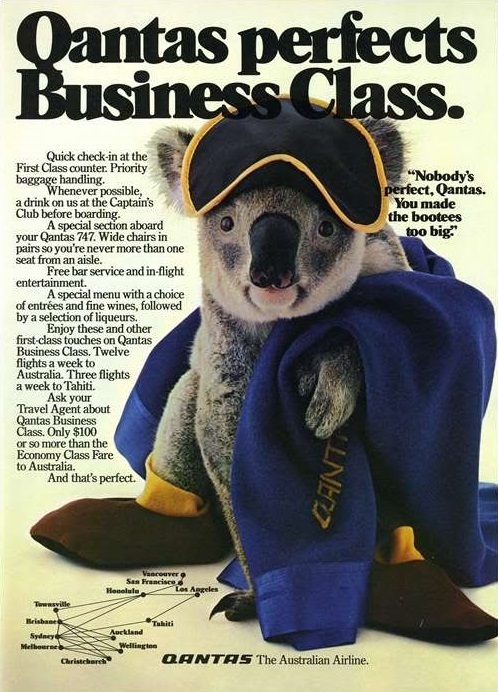 or so more than the Economy Class Fare to Australia.